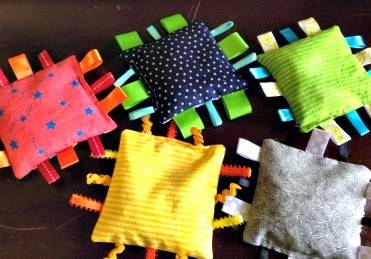 My daughter got a very sweet handmade gift at her first birthday party- a set of 5 bean bags with ribbon tags. They were made by a friend of mine from thrifted vintage fabrics and they were my friend's first sewing project. My little girl loves her bean bags and so do her little friends who come over to play. It is one of those timeless toys that is powered by imagination rather than batteries. 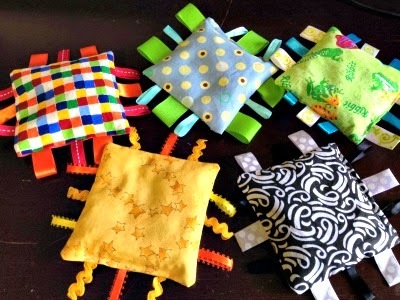 A friend's son was celebrating his second birthday and I decided to make a set of bean bags just for him. 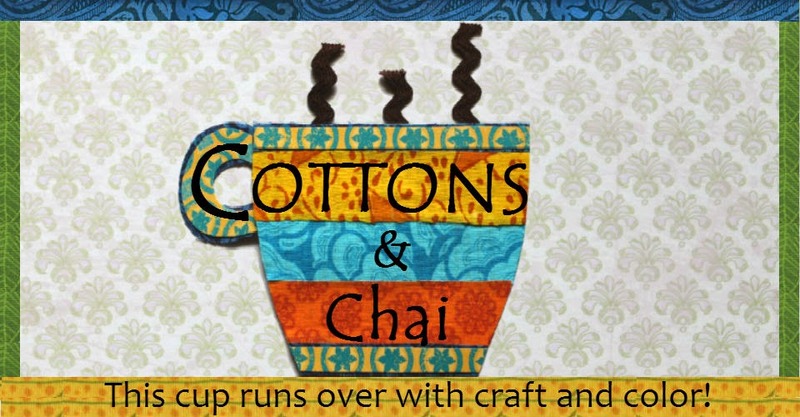 This tutorial from Sew Like My Mom was the perfect way to learn how. I loved that Melissa's instructions were detailed. She's clearly a professional sewist from the way she has you sewing twice around the edge to make a sturdy and long-lasting bean bag. 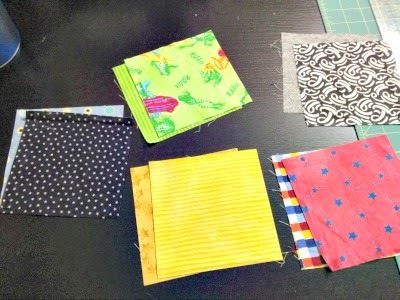 For my 5 bean bags, I chose five colors- black/white, red, green, blue, yellow and rifled through my scrap basket for 10 different fabric scraps, 2 for each bag. The ribbons were whatever I had on hand. Next time I'll choose 4 wide ribbons and 8 narrow ribbons for each bag. I kept it simple by skipping the applique. And I found 2 bags of pigeon peas on clearance at the supermarket, so that's what I used as the filler. It took me a little under 2 hours to make this set of bean bags. 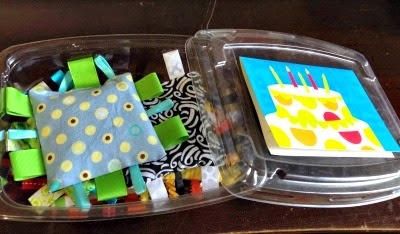 I reused a plastic salad container as a box for the bean bags and taped a birthday card on top. It made for a sweet gift and the birthday boy has been playing with it non-stop, I'm told.